Now that the Rio Olympics is underway open water swimming and diving is getting a lot of coverage. Being a keen open water swimmer myself, but I’m now getting to the age where i don’t get to spend a lot of time out in the open water swimming against or with the tide. I did pay particular attention to the choice of swimming caps a lot of the athletes in Rio were using. Most were using those of the silicone variety and for good reason. For one they keep you much warmer. This is a very good reason to use a cap in your own pool. Plus it will keep your hair from getting full of chlorine. 90% of heat is lost through the head. It stands without reason that you will be much warmer in your pool if you use a cap. Granted if you have no problem raising the temperature of your water you will not need a cap for this reason, but in the winter time it will be a great asset. Swimming caps of the silicone variety are a superior quality swim cap, they are much more durable than latex swimming caps, they are also hypoallergenic, so great for your skin. Silicone swim caps are the most popular choice to buy among swimmers. With correct treatment, silicone caps will last for ages. Sharp objects can still pierce them but are better than latex swim caps. 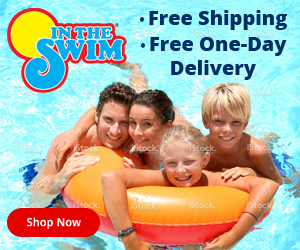 The Silicone cap tends to be better and the preferred choice for swimming clubs, and teams. Swimming caps are an essential piece of a swimmers kit – for training and racing, and they do help you keep warmer in the pool, sea, or open water lakes. Leisure operators that run swimming pools and sports facilities like to use silicone caps but often use latex, as its cheaper. The organizers of Open Water swimming events, that are often for charity often use silicone swimming caps as they look great on the swimmers head, and are a great reminder of how well the swimmer has done!